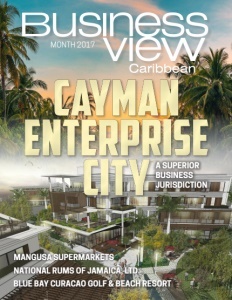 Business View Caribbean interviews Wendell Bonafacio, Director of CWM Infrastructure, for our focus on best practices in construction in Curaçao. Curaçaose Wegenbouw (CWM) was founded in 1953 when parent company Janssen de Jong (a Dutch-based group operating in the Netherlands, the Caribbean, and other countries) was asked to build Curaçao’s International Airport (Hato). Since then, CWM has been a leader in innovation and guaranteed quality – its most important core values. Curaçaose Wegenbouw stands for construction in its broadest sense. With qualified personnel and high-tech machinery, the company will build everything from your driveway, to the complete infrastructure of a new real estate development plan, to sports fields using asphalt, turf, or gravel. Sometimes, giving a corporate executive the platform to share personal insights about the business he or she puts their heart and soul into is the best way to promote that company within its industry and the business community, at large. 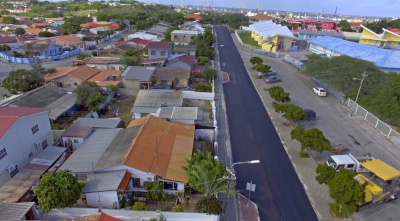 This is remarkably true in the case of Curaçaose Wegenbouw Maatschappij (CWM) and its esteemed Director, Wendell Bonafacio, who offers, here, the 65-year journey and future growth path of one of Curaçao’s most valuable construction entities. In the words of Wendell Bonafacio: “I am, as the company Director of Curaçaose Wegenbouw Maatschappij (CWM), the Bonairiaanse Wegenbouw Maatschappij (BWM), and Eigen Woning Plan (EWP), very proud of the company and its staff. The social responsibility towards the people and society is a very important element of the company to me. There are many people who earn a living by working at, or for, the CWM, such as the subcontractors, suppliers of products and raw materials, equipment rental companies, and lorry drivers. “In 1952, Janssen de Jong came to the Caribbean for the construction of the airport in Curaçao. For this purpose, the Curaçaose Wegenbouw Maatschappij N.V. was established on September 3rd, 1953. Around that time vehicle traffic in Curaçao also increased – many new roads had to be built and dirt roads paved. The opportunity presented itself for CWM to achieve an important place in the field of road construction, and we have succeeded. 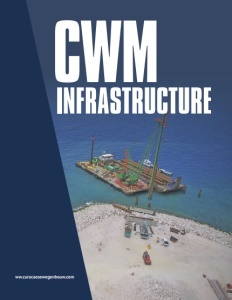 CWM Infrastructure is specialized in the construction and maintenance of the infrastructure on the island. From the beginning, the company played an important role in the revival of Curaçao. “Sixty-five years is no small task. Most people have no idea how intensive road construction can be! We are dealing with all facets of road construction such as excavation work to install water pipes or telephone and electricity cables, sidewalks, bike paths, street lighting. We can carry out all facets of the work, and we always like to think along with the customer to realize projects in the best way and, of course, at the lowest cost possible. 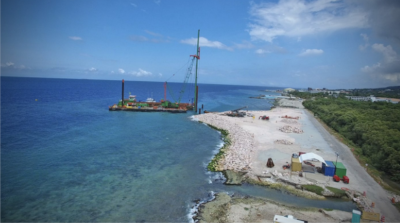 The construction of roads in the Leeward Antilles with their tropical climate and soil structure requires a special approach. Where there is a will, we will create a way. “At the moment, CWM Infrastructure employs 125 people, from the engineers to the laborers who actually perform the physical work. Approximately 50 percent is involved with the interoffice tasks, or with the actual implementation of the projects, and the remaining 50 percent are the workers, the CLA staff, deployed on the projects. The functions within CWM are linked to our processes. We have a planning department where the requests come in, the calculations are made, and quotations are offered. Then we have the administration, where you mostly find employees with a financial background, an HR department, a cost control department and the group of people who are responsible for the implementation of projects, namely project managers, work planners, coordinators, foremen, and, not to forget, those who carry out the assignments such as the ground workers and drivers. We even have someone who specifically does collection. That’s the only downside in the whole history of our company. The payment behavior has deteriorated in the last decade. If we don’t go after our payments, we will not receive them. “Our biggest client is the government. CWM Infrastructure has taken on an advisory role and the company likes to come up with suggestions and solutions for the construction and renovation of roads. The growth of the number of cars has increased drastically since 1995 and, as a result, more and better roads had to come. The wear and tear of the roads is enormous. This is mainly due to the increase in freight traffic. The trucks are becoming heavier and the road surfaces cannot tolerate this properly. “Climate and weather conditions also play an important role in the deterioration of the quality of roads. For this reason, and many others, the company is always looking for new and innovative ways to maintain the roads. A country that moves forward must also go along with the times. That’s why we are constantly looking for new challenges and techniques. For example, CWM came up with colored asphalt that was used during construction of the sidewalks at the Hyatt Project. “The construction of athletic fields in colored asphalt is a new segment that the company has tapped into in recent years, such as the multifunctional field at Gibraltar, and in artificial grass such as the Johan Cruyff field in Zapateer, the baseball field at Tio Daou in Zapateer, the soccer fields of Navu in Brievengat, the SUBT stadium in Vredenberg, and the soccer field in Emmastad, just to mention a few. Our local Major League ball players work out at our Tio Daou Ball Park fields during their off-season breaks on the island. That fills me with tremendous satisfaction and pride! The soccer fields also adhere to the standards of the KNVB and the Johan Cruyff Foundation. “The CWM also contributes to environmental awareness. The company has purchased a recycling machine through a joint venture and is using re-cycled asphalt technology to pave roads, such as on the pilot project on the Weg naar Willibrordus. This way of re-using old asphalt has several advantages. It is more environmentally-conscious because the old asphalt is used again, and it provides an improvement for the construction of the foundation. This has to do with the scarcity of good foundation material. The hard diabase material that is often used in the construction of roads is almost depleted. Working in an environmentally conscious manner is therefore very important to the company. But we are limited. We have to work in accordance with the rules of the government and are not free to build the roads as we please. “New at the CWM is the production of cold asphalt. Cold asphalt can be stored in, for example, pouches and is mainly used for ‘responsible’ filling of holes in the road, which is usually done by small subcontractors. The CWM has grown tremendously in the last decade and has carved out a highly respected position in the market. The initiation of new projects within the framework of P.P.P. (Public Private Partnerships), spearheaded by the sister company, Eigen Woning Plan (EWP), is a good example of this. 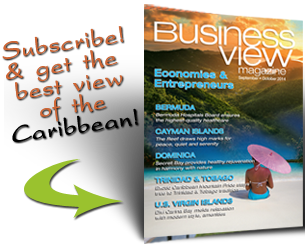 Check out this handpicked feature on Relmac Construction – Jamaica.